The resources you’ll find below are documents that have been distributed by concussion prevention programs. These programs were translated and developed from evidence-based injury prevention research. This document highlights Heads Up Football (HUF), an education program instituted by USA Football in 2012, and practice contact restriction guidelines developed by Pop Warner (PW), a national youth sports organization. 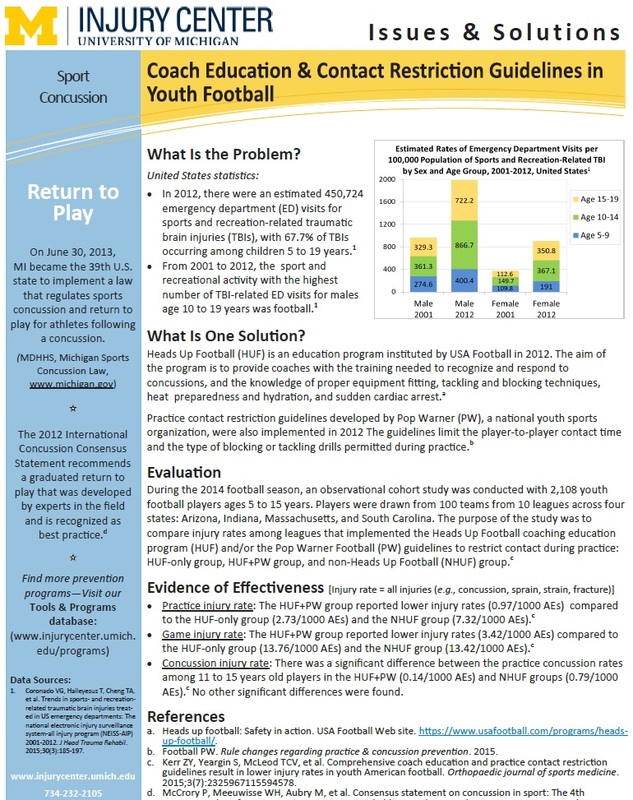 This handout gives information on sports concussion, information on the highlighted evidence-based solution and the components of the program, and the evidence for the program’s effectiveness. This document highlights a community-based helmet loaner program developed in Colorado to increase helmet use among skiers and snowboarders. 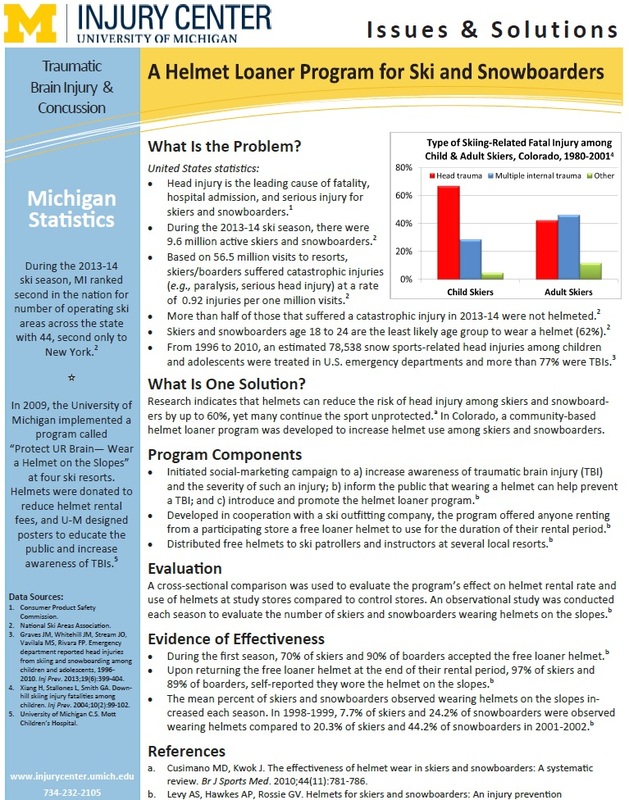 This handout gives information on concussion, information on the highlighted evidence-based solution and the components of the program, and the evidence for the program’s effectiveness. 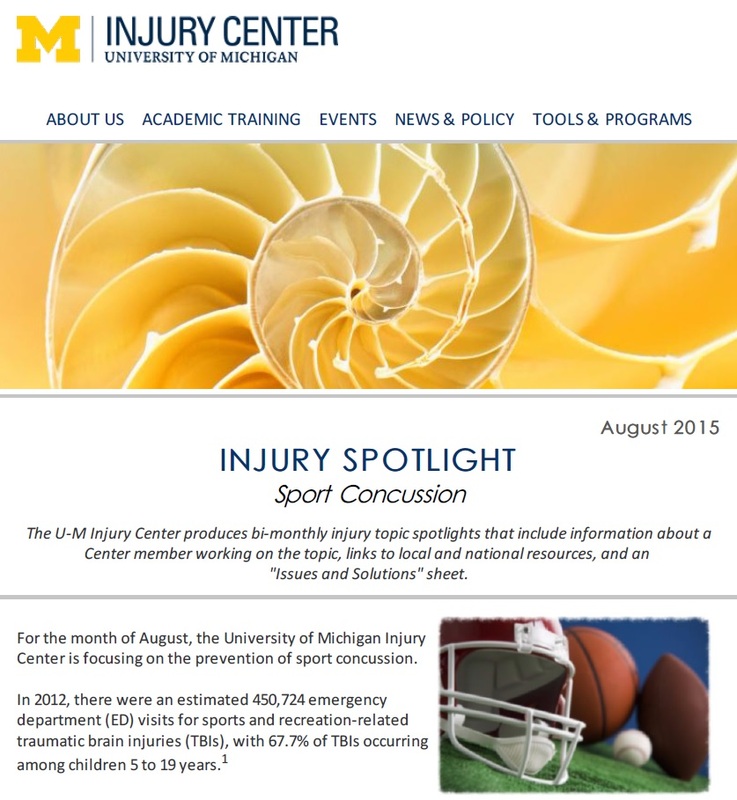 Spotlight on the prevention of sport concussion, member highlight (Dr. James T. Eckner), and resources. 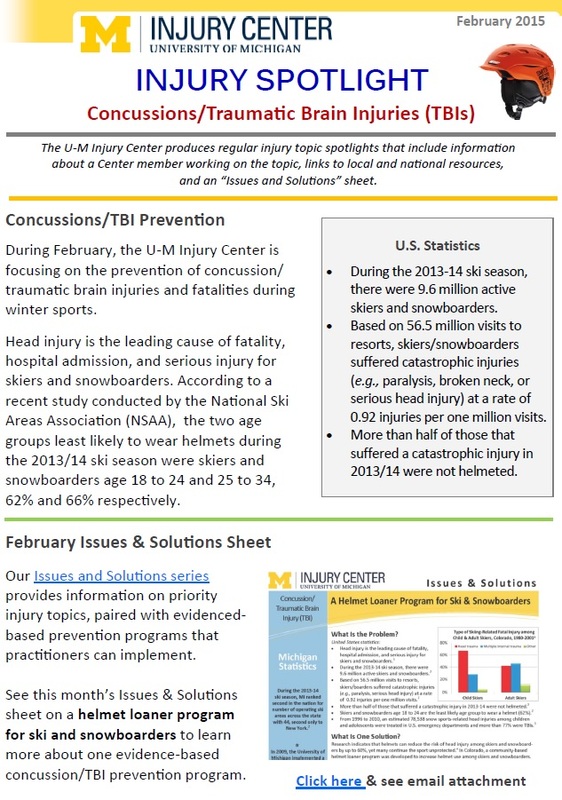 Spotlight on the prevention of concussion/traumatic brain injuries and fatalities during winter sports, member highlight (Dr. Steven Broglio), and resources.